New Delhi, June 5: In order to boost medicinal benefits of India on a national level, Ministry of MSME and Ministry of AYUSH signed a Memorandum of Understanding (MoU) in the presence of the Ministers of AYUSH and MSME on Monday. The MoU will create synergies through the institutions and schemes of both ministries for the development of AYUSH enterprises in the country. The objective of this partnership is to position India as a world leader in “Holistic Healthcare”. AYUSH is a rising sector, having immense potential for preventive, curative and rehabilitative health and has been part of India's socio-cultural heritage. 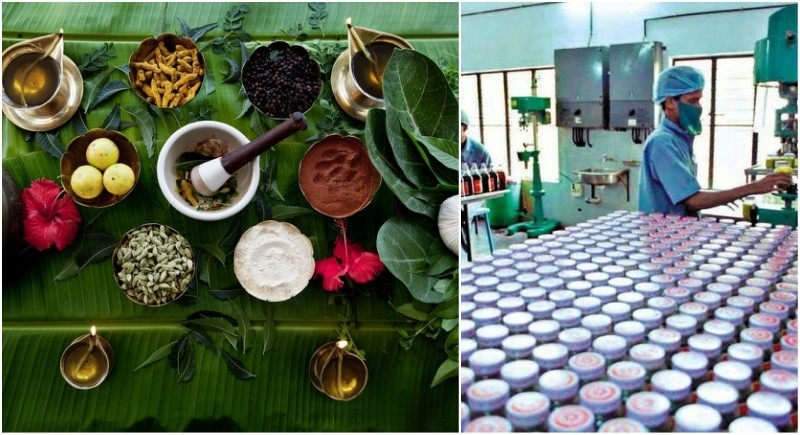 AYUSH industry include the Ayurveda, Unani, Siddha and Homoeopathy drug manufacturing units, as well as the healthcare delivery centers in public & private sectors and, are essentially dominated by MSMEs, which need handholding support in the areas of entrepreneurship development, capacity building and financial assistance in order to grow and increase the market share of AYUSH. The domestic market for AYUSH sector has been increasing steadily over the past decade. There is also an acceptance of traditional medicines worldwide. Therefore, export of AYUSH products like food supplements, nutraceuticals and herbal extracts has increased significantly. In order to benefit from this the Ministries of MSME and AYUSH have agreed to join hands for developing enterprises in this sector. Both Ministries will organize regional workshops for entrepreneurship development in AYUSH sector and Ministry of MSME will frame new schemes for AYUSH industries to get the benefits of SIDBI. Ministry of MSME cuts across different sectors of industry including AYUSH and thus has the responsibility to cater to the needs of AYUSH enterprises.